Ronald Ross is famous for his work concerning malaria and was awarded the Nobel Prize for Physiology or Medicine in 1902. He discovered that the salivary gland in the mosquito was the storage site of malarial parasites and using infected birds, he demonstrated the full life cycle of the malarial parasitic organism. He became the first director of the Ross Institute and Hospital for Tropical Diseases in 1926; an institute established to honor his works. 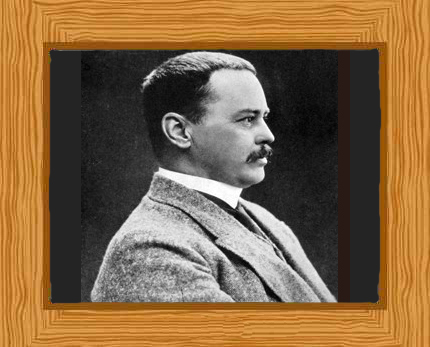 Ronald Ross was born on 13 May in 1857 at the Himalayan hill station in Almora, India. He was the eldest son of Sir Campbell Claye Grant Ross, a general of the British Army and Matilda Charlotte Elderton. The eldest of ten children, aged eight, he was sent to England where he lived with his great uncle, a retired doctor. For his elementary education Ronald attended a primary school at Ryde and he was sent in 1869 to a boarding school in Springhill, near Southampton. He was still just a boy when he developed a love for music, literature, poems, and mathematics. At the age of 14, he won a prize for mathematics and was presented with the book “Orbs of Heaven” which sparked his interest in this field. Aged 16, Ronald secured first position in the drawing exams. Because of his love for poems and literature, he initially wanted to be a writer; but he accepted his father’s wishes and enrolled at St Bartholomew’s Hospital Medical College in London in 1874. Initially Ross was not fully committed to the path he has chosen and spent a lot of his time writing plays, poems and composing his own music. Nevertheless, Ross graduated in 1880 having passed the examinations for the Royal College of Surgeons of England in 1879. Ross then worked as a ship’s surgeon, his first position being on a transatlantic steamship. At the same time, he advanced his knowledge by studying to obtain a license for the Society of Apothecaries. Passing on his second attempt in 1881, he qualified which allowed him to join the Army Medical School and he entered Indian Medical Service in 1881. Ross, now qualified, left for India in September 1881 and moved around India with various postings for seven years. In 1883, Ross became the Acting Garrison Surgeon of Bangalore and it was then he realized how to control mosquitoes and the propagation of malaria by limiting the mosquitoes’ access to water. During a return to England on a furlough in 1888 Ross continued his education and obtained a Diploma in Public Health from the Royal College of Physicians and Royal College of Surgeons. Ross also took a course in bacteriology taught by Professor E.E. Klein. Ross developed an interest in malaria research and corresponded with Patrick Manson, the leading British expert on tropical diseases. French army doctor Laveran and Manson had both observed a parasite in blood samples of malaria victims and suggested that this parasite was the cause of malaria. In 1894 Ross set his mind on determining how mosquitoes propagated malaria. For two and a half years, he achieved little success. In the spring of 1897 Ross was granted research leave and spent some time at the malaria infected area of Sigur Ghat, near the hill station of Ootacamund. There, he caught malaria and managed to treat himself successfully with quinine. In August 1897 he managed to culture 20 adult “brown” and “dapple-winged” mosquitoes from collected larvae and fed them on the blood of a malaria victim. Ross then dissected the stomach of a mosquito that had fed on the blood of a malaria victim and discovered the malarial parasite; this established Laveran and Manson’s hypothesis as a fact. His research continued while he was working at the Presidency General Hospital in 1898 in Kolkata. He studied in his own bungalow with a laboratory at Mahanad village. From time to time, he went around the village to collect mosquitoes with the help of the Indian scientist Kishori Mohan Bandyopadhyay. In July 1898 Ross discovered that the salivary gland in the mosquito was the storage site of malarial parasites. He used infected birds to demonstrate the full life cycle of the parasitic organism. Ross resigned from the Indian medical Service in 1899 and returned to England where he became a lecturer at the Liverpool School of Tropical Medicine. He was elected a Fellow of the Royal Society in 1901 and to the Royal College of Surgeons the same year. Ross continued his work on malaria prevention and was promoted as the Professor and Chair of Tropical Medicine of the Liverpool School of Tropical Medicine come 1902. He was awarded a Nobel Prize for “his work on malaria, by which he has shown how it enters the organism and thereby has laid the foundation for successful research on this disease and methods of combating it” in 1902. Ross was a prolific writer during his career. His book “The Prevention of malaria” was published in 1910. Ross was knighted in 1911 and in 1912 he was appointed as London’s Physician for Tropical Diseases at King’s College Hospital. During the First World War Ross was made a consultant in malaria to the War Office; he travelled to various locations including Egypt, Macedonia and Italy. After the war he became a consultant with the Ministry of Pensions. The Ross Institute and Hospital for Tropical Diseases was founded in 1926 and Ross was the first director, a position he held until his death. He married Rosa Bessie Bloxam in 1889 and they had four children, two sons and two daughters. He died due to a long-term illness coupled with asthma on 16 September 1932, aged 75 and was buried next to his wife in Putney Vale Cemetery.